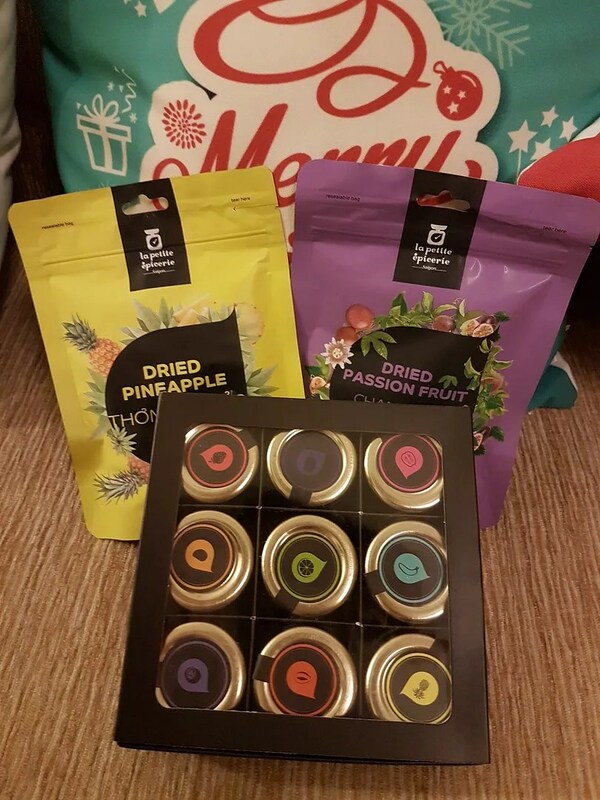 Let MarketOi do the shopping for you! | Hello Saigon! Let MarketOi do the shopping for you! Even if Vietnam isn’t a Catholic country, it is now celebrating the Christmas holiday, massively. Last week, because of Vietnam’s president visit to Ho Chi Minh City combined with the number of malls and bazaars having holiday sales, not to mention store fronts in their Christmassy decor attracting hordes of crowds for picture taking, the traffic was horrendous! For the first time, I got turned down by a cab to take me to a destination because the traffic wasn’t moving in that area. So there I was desperate to do some shopping but couldn’t. Good thing there is MarketOi. With MarketOi, you can just go to their site or their IOS app, choose the delivery location and choose the products you want to purchase from their list covering food, drinks, and home essentials. When I say food, yes they can order for you and deliver right to your doorstep. They cover restaurants, fast food, convenience stores, and grocery. 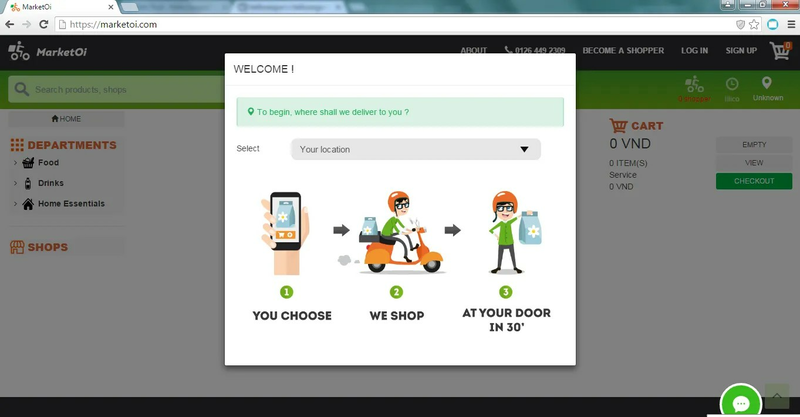 Once you’ve placed your order, you get a notification that it is assigning a shopper to you. Then once they’ve found a shopper (should be under 2 minutes), they’ll shop and deliver within 30 minutes. They will confirm this through an SMS message or Viber message OR Whatsapp. Now, it they can’t deliver on time due to the fact that the shop may have ran out of what you ordered or anything that may cause delay, they will let you know. 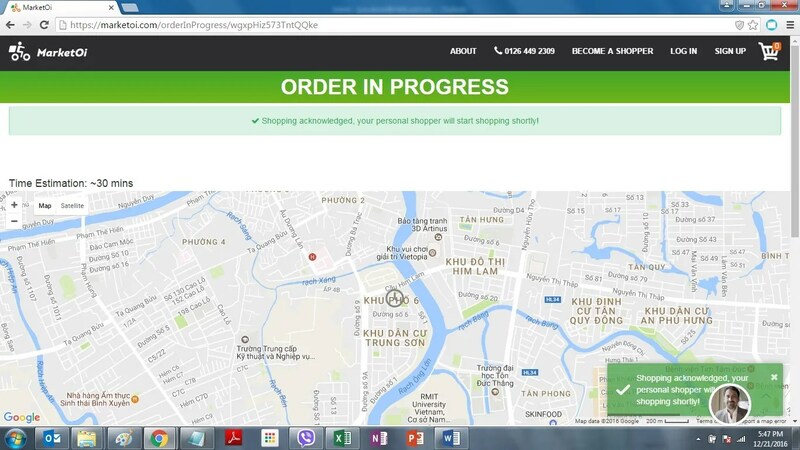 Then once they deliver, you pay the shopper / delivery person plus shipping cost of 30,000 VND. Not bad if you are in need of something in D1 and you are in D7. They deliver to D1, D2, D3, D4, Binh Thanh, Phu Nhuan, and D7. However, please note that some food delivery may not be possible because of the distance from the restaurant to your place. I mean, who wants soggy fries, right? Try it and see how easy it is to get shopping done in the city!